OK, here it goes. 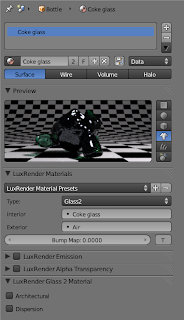 Before you setup a Glass2 material on Luxblend, you need to create two volumetric settings. 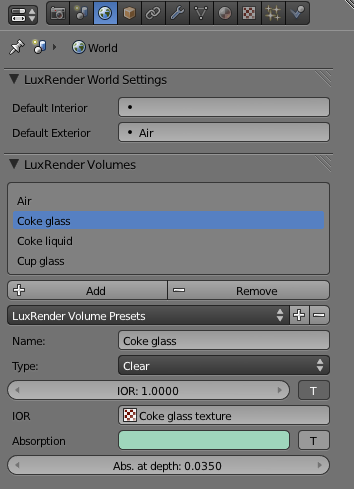 There needs to be one for the air (IOR = 1), and one for the glass. 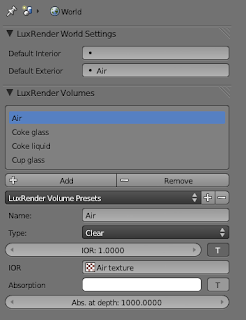 Each of these volumes need to have a IOR texture attached to them. 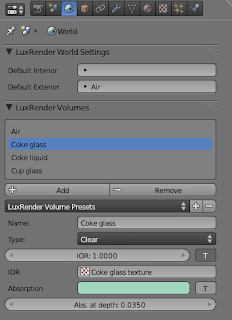 After that, you create a Glass2 material, and add each of the volumes you created in the corresponding slot for interior (glass) and exterior (air) volume. Texture that goes with the Air volume. Notice it's a constat texture. 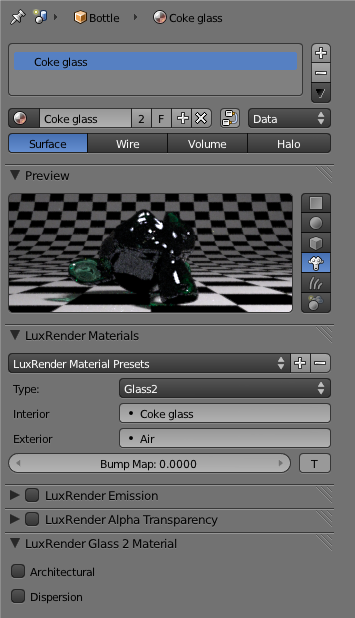 Texture associated with the green glass volume. 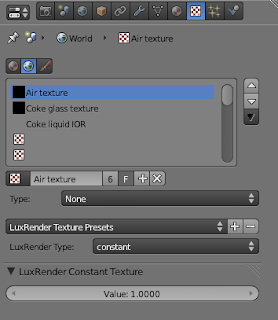 This is what the material settings look like. anyways, thanks again for this nice tut! 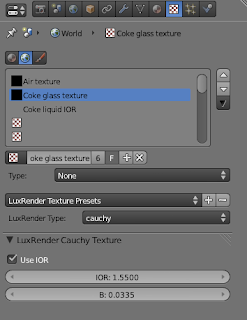 I really can't find the time to play with the new RC now but I've bookmarked it and will try asap.